Welcome to the lake, wanderer! Welcome to Dreams of Tomorrow: A semi-literate warriors RPG! We are a lake-based warriors RPG, set in the times after Visions of Shadows and the Broken Code, and featuring the four original Clans, SkyClan, and two unique rogue Clans: Yijiao and Viperion! After a freezing leaf-bare, newleaf is a welcome sight to the cats of the lake. Temperatures are slightly lower than normal, but warm enough to chase away the last of the frost and snow, and to promise warm rains and a hot greenleaf. Snowstorms have transformed into thunderstorms, and then give way to sunny days, encouraging prey to return and grow fat in the blooming forest. Medicine cats are celebrating the return of their herbs, eagerly collecting leaves and flowers to restock their supplies. The cats are finally feeling warm, well fed, and free of sickness. Petrichor (Blueprint) is a premade Proboards v5 theme designed and built by punki of Adoxography and Pixel Perfect. Dreams of Tomorrow is the work of the minds of Uiido, Prongs, and Spotted. All characters and content are copyright their creators, and may not be replicated without their creators' permission. All images belong to their original owners. Introducing a new site skin! The lion's share of editing and finding pictures and fiddling with things of this skin was done by Uiido this time, so make sure to give her a huge thank you for this gorgeous skin! It's February so it's time for a new holiday event! This time it's Valentine's Day - running from February 1st to 28th! Every thread gets 1 token, threads with couples get 2 tokens, and any reply to the WindClan-LeopardClan battle gets a whopping 7 tokens! Bios will continue to earn 3 tokens and high ranks will recieve 4. New items have also been added to the shop! Willowstar and Hollypool over see ThunderClan together, and while Willowstar is a firm leader, she does have her soft spots. Those outside the clan seeking refuge are usually more welcome here, considering Willowstar herself is of rouge blood. Times come where Willowstar may get too lenient, and Hollypool is there to reign her back in and ground her. Darkjewel is a crass medicine cat, but she cares for her patients all the same, if a little more sharp then Skyclan's medicine cat Acornleap. Shadowpaw is the Clan's young medicine cat apprentice, fresh into her training. ShadowClan is famously run by Icestar and Mapledream, perhaps the harshest leader and deputy pair in the forest. They value loyalty and hard work above all, and don't tolerate disobedience or defiance, and quickly stamp it out. These cats are power hungry, and lead the charge on LeopardClan's existance. ShadowClan is currently the largest of all the Clans, and in ever way. ShadowClan cats are currently banned - warriors, apprentices, kits alike. However, elders may be accepted with permission from staff. Flamestar and Swallowstripe are very cooperative in their leadership of WindClan, prioritizing loyalty to the clan and the warrior code above all else. They are very family based and while Flamestar is strongly against relationships that break their codes, she will never force a parent to stay away from their kits. Flamestar likes to care for and worry about WindClan before all else and usually keeps her clan isolated from the others unless conflict is brought to them or aid is asked of them. Meadowlark is a fair and attentive medicine cat, though scandal surrounds her as of late as she's had a litter of kits. Ryepaw is her apprentice, young but bright and full of sass. Nonbinary cats are always encouraged in the ranks of WindClan, and currently there is a ban on she-cats to allow the males to populate a tad bit more. Their elder ranks could always use more filling out, and currently there is a ban on kits and young apprentices, to not create too many apprentices and not enough warriors to train them. In RiverClan, the water loving community is led by Frostedstar, and his former mentor and loyal deputy Foxtrot. Frostedstar takes a very relaxed approach to his leadership, and values family above all else. Frostedstar as a leader is perhaps the most lenient of the five, but he cracks down hard on in-clan fighting and bickering. He believes a unified clan makes for a stronger clan, and as such stomps out any disagreements the moment they arise. Foxtrot is much the same as his former apprentice, and will quickly stomp out any quarrels. Bluewing is a kind and fun-loving medicine cat, and takes great care of her patients. Ripplepaw is her apprentice, quiet and thoughtful, but not shy, and always eager to help. Currently, there is a ban on she-cats of all ages to allow the males to fill out a little more, and nonbinary cats are always welcome within their ranks. Currently there is a ban on kits, and all litters will need to be pre-approved by staff. To outsiders, Coalstar may seem the very cold and imposing leader of SkyClan, but his Clanmates all know the truth - he and his deputy Tumbleberry strive to do what is best for his Clan, and though they to keep to the warrior code the best they can, they know that in some cases, it should be broken for the good of the Clan. For example, Coalstar doesn't care as heavily for those who engage in cross-clan relationships, as he himself was in one. So long as their loyalty is to SkyClan, that's all that matters in the end. Acornleap is among the most compassionate of the medicine cats, with a kind personality and a strong spiritual connection to StarClan, and is well known for reading omens. Her apprentice, Tansypaw, also seems to have inherited this gift, but in some ways, far stronger than her mentor. SkyClan is a Clan with relatively even numbers for toms and she-cats, but nonbinary cats are always welcome. 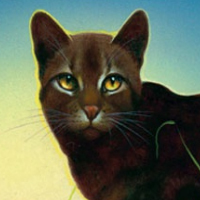 SkyClan is not currently welcoming apprentices, queens, or kits, in an attempt to allow the warrior population to grow to handle the influx, but senior warriors and even some elders will always be welcomed. Helfeirch is the cat who created Yijiao in order to worship her gods, and other cats joined her. These cats look to Helfeirch not really as a leader to send them charging into battle, but to keep them organized and structured. Helfeirch keeps tensions down in the Clan, and is quick to settle disputes, or assign contracts in an agreement can't be made. She lets the cats do as they please, only so long as they maintain order. Her vice will be her heir, though she has not picked a cat for the honor yet. Yijiao's still a small group of cats, and therefore are sill welcoming to new cats, though she-cats and non-binary cats would be quite welcome to even out their numbers. Trainees are banned at the moment, to help catch up in numbers, but assassins and bounty hunters are quite welcome, as are queens and contract keepers. Though Drought has a lieutenant, make no mistake: the monarch rules Viperion alone. He commands his followers firmly and has never tolerated traitors or those with ties to the Clans. But despite how well he wears his mask of cold indifference, Drought cares deeply about the ragtag family he's built, and will defend it to the last. Where Viperion is still so small, any cats are welcome, though there is encouragement for she-cats and nonbinary cats. Royalty however, need in-play promotions, as it's an elite rank hand picked by Drought himself. Cadets and Mothers are always encouraged to bring new blood into the group. Welcome to Dreams of Tomorrow: a lake-side warriors RPG! The current season is newleaf! Enjoy warming weather and the return of prey! The advertisement campaign for March 2019 is finished! Congratulations to Prongs and Fawkes! Looking for something to help you on the site? This is the place to be! This board will store a variety of things, including the rules, the site map, and other useful information. The world of warriors has an expansive history, both within and outside of living memory. This board keeps records of former high ranks, major events, family trees, and other similar records. If the site has any major announcements regarding site or plot information, they will be posted here! Check back frequently, as all announcements are important, and some may even require your feedback! Have any suggestions, comments, or questions? This is where your can post them! Questions may be answered by staff or members! This board is also guest friendly. The site archives contain the completed or inactive threads of all boards, as well as bios that members wish to tuck away, old introductions, and anything else imaginable. This board has complete freedom of topic for all members. Any kind of post is welcome here, whether it be a game, a book discussion, or even a place for a member to just post something silly. When a member has a talent they would like to share, oftentimes, they will open up a shop. Member shops can all be found here, and each member runs their own. Member shops can offer banners, drawings, codes, anything they would like. It is also up to members if they want to charge for their services, so start raising up pebbles! Members are constantly arriving and departing, and this is a good place to keep track of who's around. This board is home to the introduction board, where members can introduce themselves for the first time and meet new members, as well as the absences board, where members can announce that they'll be away for a while, or perhaps for good. Do you have your own site that you'd like to show us? Post it here! Or maybe you'd like to affiliate with us? Well, that can be done as well. This board is guest friendly, for your convenience. Sorry, nothing 18+! Here is where you'll post your new characters! When in progress, place in the WIP board, if completed, straight to the Completed Biographies board! If a bio has some problems, it will be moved to the pending board for a little more work and so staff can find it easier! When the staff reviews and accepts a bio, we'll post a stamp saying so on the thread, and it'll be moved here for storage in its proper subcategory! Do not under any circumstances post biographies in this board. Come here to find the one true love for your character, the best friend that they're going to be gossiping with in the elders' den, the one cat that they just can not stand, along with an assortment of other things. Inside you'll also find the Orphanage, where you can put characters up for adoption, in case others find interest in the character! We all get to the point where we play too many characters, and sometimes it's a lot to handle. Use this board to set up a tracking system for all of your characters! Whether it just be ages and relationships, or thread trackers so you know where to post next, this is the place to do that! Members with high ranks have a lot to keep track of, and we're here to help! Inside you'll find things such as blank ceremony templates, ceremonies that need to be done, gatherings that need to be held, and more! Deep in the heart of ThunderClan's leafy woodland is an a gray stone hollow with towering walls from its days as a quarry. The camp is surrounded by thick bushes of thorns and brambles, densest at the front of the camp, where ThunderClan has placed their entry tunnel. The dens are made in the cracks of the stone walls, or under low lying branches of thorn and bramble bushes. The Clan's leader makes their announcements on the ledge outside the leader's den, known as the Highledge. ThunderClan's territory, in short, is a leafy forest. It is mainly comprised of maples, oaks, and other similar tree species, making it a very colorful place during autumn, when all of the leaves change colors, and a brilliant green in greenleaf. At the southern edge of their territory is a vast lake in the middle of Clan territories, which ThunderClan often uses as a water source. At the base of a slope in the pine forest, ShadowClan have made their camp, hidden from sight among thorn bushes and pine trees, concealing the dip in the ground where they have made their home. Once you get past the camp's thorny entrance tunnel, the clearing opens up to reveal dens made of bramble thickets, with the medicine cats living beneath a pine tree. A branch hangs above the camp, just above the leader's den, and it has been dubbed the Highbranch, where the leader makes announcements. Most cats find ShadowClan's territory to be rather unpleasant. Tall pine trees fill the shadowy forest, and pine needles litter the ground. Undergrowth is scarce throughout the territory; however, some areas are marshy. Yet, it works perfectly for the cats of ShadowClan. It's a rather large piece of territory, with plenty of room to hunt whatever they can scrounge up. Perched high up in the moors, WindClan's camp is formed by a shallow scoop in the hills of the moorland. Large boulders are scattered around the camp, and unless a cat knows better, they would completely miss the camp, thinking it little more than more moor. The camp has few dens, with the leader's den formed under some boulders, the medicine cat's den making use of an old badger set, and the nursery under some gorse bushes. Warriors and apprentices prefer to sleep out under the sky, sheltered from wind and sun by tall boulders, but retreat to an old fox burrow when the weather turns bad. The pile of boulders over the leader's den is used for Clan announcements and has been named the Highrock. WindClan's territory is known for being a moorland. It's quite barren, and not many animals live there, making it easy to spot any kinds of movement. However, the supply of rabbits is very high. Thus, rabbits are the main source of food in WindClan. Additionally, without any woodland, badgers and foxes are fortunately much rarer here than in the other Clans. Deep in RiverClan territory, two rivers cross, and a plot of land becomes a secured island, guarded by water yet accessible via stepping stones. RiverClan has made their camp here, finding solace in the reeds and water. The camp is marked by willows with drooping branches, and a curve in the river where it is slow-moving and shallow enough for kits to safely swim. Reeds around the camp have been woven together to create waterproof dens, decorated by shells and feathers. The medicine cats live in a hollow beneath the roots of a willow tree. There is a large boulder in the camp where the RiverClan leader makes announcements, dubbed the Reedstone. RiverClan territory is mostly made up of leafy forest and grassy fields, yet RiverClan most values the rivers and streams that run through their territory. There are two main rivers that flow through the territory, which meet in the middle of their territory to form their camp. RiverClan also spends a great deal of time along their lakeshore, and in the lake itself. RiverClan's territory additionally holds the tree bridge the Clans use to cross to the island for Gatherings. \SkyClan's camp is among the most unique out of the Clans. It's in a small clearing surrounded by a wall of cliffs, in a sheltered ravine. This means that any intruders have to climb down the cliffs to access the camp, making it rather easy to defend. The camp, though, is relatively simple. All of the dens are built into the cliffs, hidden among bushes, boulders, and the cracks in the walls, and in the clearing is a large rock named the Tallstone where the leader holds Clan meetings. SkyClan is the only Clan territory that does not border the lake; however, they have an amazing view of it in various parts of their territory. Past the ThunderClan and ShadowClan forests are SkyClan's woodlands, high up along the hills and edges of small mountains, offering stunning views and ample hunting grounds. Their woods are a mixture of many leafy trees and pines, with undergrowth often found underpaw. Yijiao's camp is skillfully designed, and quite beautiful at that. Living in a grotto at the center of their maze of tunnels, the camp has a large lake that they live around. Den's are placed in cavities in the wall, far away from the lake, and the queen's den the furthest away to keep kits from tumbling into the lake. There is a large cave branching off from the camp is the Starry Cavern, where the Teller goes to hold their meetings. Most of Yijiao's territory is underground, with twisting tunnels that lead to various caves and grottos, the cats who live here have mastered all the turns in their system, knowing exactly which tunnel will lead them where. Most tunnels are spherical in shape, although there is the odd tunnel that is squared as opposed to the rounder ones. Aboveground is a lush forest, perfect for hunting woodland prey if they grow tired of the fish in the lake. In the deepest part of Viperion's forest, where light struggles to reach the ground, Viperion has found a higher section of well draining ground to make their camp. Partially surrounded by massive bushes of thorn and bramble, the clearing only contains a few dead trees, with the only living foliage consisting of clumps of ferns. Viperion's cats mostly prefer to make their own dens out in the territory, but the camp does contain several small communal dens which were formerly fox burrows. To the south of the Clans' lake is a dense forest composed of evergreens with scattered sections of swamp. Though Viperion has also claimed tidbits of nearby temperate woodland as their own, the vast majority of their territory is marked by a thick and often damp carpet of pine needles which silences pawsteps. Marsh-loving plants grow abundantly in the peaty soil, but undergrowth is rare, forcing cats to lurk in the shadows or take to the branches if they wish to travel undetected. In the lake, just off the coast of RiverClan territory, is a small island. This secluded spot holds a wide clearing with a single great oak tree in the center, surrounded by trees on all sides. This is where the Clans gather every full moon for the Gathering, to share news in peace. Cats traveling to the island may be left in peace as long as they stay two tail-lengths from the shore, and cross over to the island on an old fallen tree. Those who follow the stream marking the ThunderClan and WindClan border away from the lake will eventually find, settled at the bottom of an ancient hollow with stone walls, a pool full of starlight marked by countless pawprints of cats. This is the Moonpool, where leaders come to receive their nine lives and name, and where the medicine cats meet to share with StarClan every half moon. Along the lake and settled in between RiverClan and WindClan territory is a Twoleg farm where many horses live. However, in the barn, cats live as well, hunting among the hills and the hay, as well as being fed by the Twolegs who live in the nest nearby. Though the territory is not large, the Horseplace cats have a selection of maintained pastures, groves of trees, and buildings to explore and make themselves comfortable, and a nice barn to tuck themselves away whenever they please. They are typically friendly and respectful of Clan cats and their borders. Outside the Clan territories and the Twolegplace is a wide expanse of unclaimed territory. The Sprawling Forest is home to loners, and includes wide open fields, lush woodlands, and just about every bit of territory around the lake that hasn't already been claimed by the Clans. Most loners live as strays among the Twolegplace, jumping from home to home, or out in the forest. Several different kinds of cats live in the Twolegplace, which is a collection of many Twoleg buildings, nests, and other areas such as parks. Though there are rogues and loners who may live among themselves or in small groups, Twolegplace is primarily home to kittypets and stray cats, who enjoy the company and companionship of Twolegs. Within the vicinity of Twolegplace is an alleyway, home to the rogues that wander in and out of the territory. It's covered with dumpsters to use as shelter, and low rooftops and fences to stroll along. Many different cats live in this area, although rogues make up the majority of its residents. A few kittypets can be found here time to time as well.